Rhythmitized dilution of rhodochrosite, a rose-colored semiprecious stone which invigorates the skin and assists its self cleansing process making it helpful for oily, blemished skin. Japan wax is from the fruit of the Rhus succedanea plant, a member of the Sumac family. It is a pale yellow, relatively firm wax that is well tolerated by the skin and added to natural cosmetics to improve the smoothness and stability of products with color pigments. A rich oil obtained from the seeds of the castor tree enhances the moisture content of the skin and gives make-up a soft, supple texture. WALA collaborated through a non-governmental organization to help farmers in India attain organic certification for their to castor trees. At WALA’s request an experienced Indian oil press owner established a second, certified organic processing line. The press owner purchases the seed from the organic farmers at above market prices to produce the first ever organic cold-pressed castor oil. Rose hip extract is high in vitamins A and C and has a toning effect on skin. Rose hip extracts are soothing and astringent and have been used calm skin irritation. The plant Rosa Canina, is also known as Wild Rose or Dog’s Rose. Also known as rose petal extract which contains many compounds beneficial to the skin as they help the skin to achieve balance and harmony. Roses are considered a picture of harmony, a perfectly balanced plant in root, stem and blossom. Rose also is generally invigorating and supports the skin's natural processes of renewal. Also known as attar of rose, distilled from the damask rose, this is an expensive and rare essential oil containing many properties of the rose in concentrated form. Every drop of rose oil is the concentrated fragrance of countless hand-sorted rose blossoms. 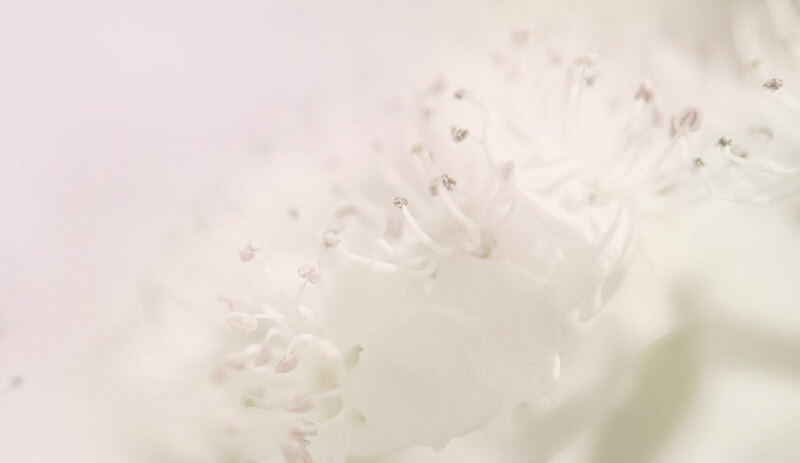 As part of our essential oil mixtures, this precious oil is contained in most Dr. Hauschka Skin Care products. Several cultivation projects have been initiated to provide us with organic rose oil. The fine, delicate rose essential oil with its flowery fragrance is valued for its harmonizing action. Rose essential oil is considered a panacea with, tonifying, soothing and relaxant properties, and a calming scent which helps promote feelings of relaxation and balance. 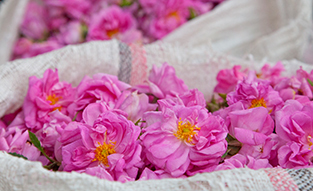 There are more than 400 individual components (constituents) in rose essential oil. Also known as ‘rose hydrosol’, it is derived from the condensed steam produced during distillation of rose essential oil. The oily component is the essential oil and the watery portion is the rose distillate. Rose distillate is rich in water-soluble compounds beneficial for skin, particularly for soothing sensitive skin while helping harmonize and balance skin. Collected from the waxy coating on fresh rose petals, rose petal wax is a rare and precious ingredient that adds its protective quality to the skin by creating a light, breathable barrier. The essence obtained from the leaves of the Mediterranean rosemary plant has stimulating and warming properties. It improves blood circulation in the scalp and has an activating action. 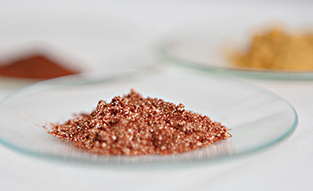 We manufacture this extract ourselves, using a special rhythmic process. Rosemary essential oil is obtained from the leaves of the Mediterranean rosemary plant. It has an herbal-fresh fragrance, is invigorating and warming. In aromatherapy it is valued for its nurturing and revitalizing action on the scalp and its ability to boost clarity, alertness and concentration. Bees secrete a special juice from glands in their heads to feed their queens. This juice is made into royal jelly and stored in the queen bee cells. Royal jelly is very rich in protein and vitamins and enhances vitality. A Rhythmitised dilution of this special, highly nutritious food supports and enhances the skin’s vitality and processes of self renewal. Our Royal jelly is obtained through ecological bee keeping practices. Raspberry seeds produce a valuable, fruity oil high in antioxidants and essential fatty acids. Raspberry seeds have a 22%-25% content of unsaturated oils & fatty acids and also contain antioxidants such as tocopherols and carotenoids. 10 kg (22 lbs.) of these small, light seeds are needed to obtain just 1 kg (35 oz.) of the costly oil. A rhythmitized dilution of ruby, a red gemstone, has a harmonizing effect on the skin helping to reduce the appearance of redness and blotchiness.